Anyone looking in on my fourth grade class in Lodz, Poland would have seen the usual: three dozen girls in black pinafores ruffled at the shoulders, worn over neat white blouses with round baby collars. But a sharp-eyed visitor would have noticed something new: a wooden cross adorned with a bleeding Jesus hung over the blackboard. Not long after Stalin’s death, the Catholic Church began to flex its muscles. In 1953 communism was still the law of the land, but undercurrents of change already permeated my school. I was the one seated at the desk closest to the front of the classroom. By now my parents had stopped calling me Anetka and used a more grown up variant of the name – Ania. I was one of several Anias in my class. I was a good student. I beamed at my parents’ approval of my high grades, and despaired if I received anything less than perfect scores on my quizzes because both of them would look at me as if I had shamed them. On closer inspection, a visitor to my class would notice that three of the girls had black braids, so much in contrast to the blond and chestnut tresses of their classmates. Those were my three Jewish girlfriends: another Ania, Ala and Slawka. Though I looked more like my Polish classmates, after school I played mostly with my Jewish friends because their mothers invited me over. I liked Elzbieta, one of my Polish classmates, very much, but her mother never invited me, nor allowed her to come to my house. A few weeks after the crosses appeared, the teacher announced that we would have a new way of starting our school day. Instead of the usual announcements from the principal’s office, the day would start with prayers. Prayers? I panicked. I didn’t know any prayers. Would we get graded on this? I was too embarrassed to ask. I didn’t mind the cross because it made me think of Marysia’s hymns, but the prayer idea was a whole different thing. Marysia was our Polish nanny and despite her hunchback, I thought she was very beautiful. By fourth grade I already knew some important things: Jews like us do not believe in God and do not pray. And, anyway, prayers were useless because I had once made up a prayer for Marysia’s hump to go away and it didn’t. That evening I told my parents about the cross and the prayer announcement. When I went to bed I overheard them. “Isn’t it strange that the Communist authorities would permit such a thing?” Mama whispered to father. “I sure hope they won’t force the Jewish children to participate in the morning prayers,” she replied. “Well,” I hesitated, “We Jewish girls don’t know the prayers.” I thought I had no option but to appoint myself the spokesperson for all four of us, though I wasn’t sure if all of us were as unfamiliar with prayers as I was. Many girls tittered. “Girls!” Pani Maria said in a high-pitched voice that registered her annoyance. At first I thought she was addressing her irritation to those who were still snickering. The way she said, “Jewish friends” sounded mean and made me uncomfortable. I didn’t like being singled out. What made it especially upsetting was that I really liked my teacher and never expected her to act so, so … different. Was she an imposter? All my blood suddenly shot up into my temples and my fists clenched of their own volition. My breathing started sounding quick and loud even to me. I motioned with a gesture of my hand for my friends to follow me and we marched defiantly out of the classroom to the dismayed stares of the teacher and the rest of the class. I was scared. My palms were moist. My mind raced. How would I explain such behavior to my parents? Wasn’t I the good girl, who never got into any trouble, the one who sat right in front of the teacher and who never called out without raising her hand? The hallway was silent. We knew that no one was allowed out of the classroom without permission, which made us nervous like rabbits facing a hunter. Ala, Ania and Slawka looked at me. I started this, so I have to supply the way forward, I thought. “But kids are not allowed in his section of the building. His secretary won’t let us in,” said Ala. Her doubt only egged me on: “Let’s go, come with me, or you can stay here and get into trouble by yourselves,” I said. “Who is coming?” They all followed. We crept down the curving staircase with its marble stairs and polished banister, trying to make our footsteps as quiet as possible. On the main floor I turned left and headed toward the office that all of us dreaded. I knocked softly on the shiny oak door, but when I heard no reply, I put my hand on the brass handle and pressed down cautiously. My heart was pounding, but I had to go through with it. I didn’t want to lose face with my friends and I certainly didn’t want to stay in the classroom while the rest of the girls prayed and stared at us as though we had three heads. The door yielded, and we entered the small office where the secretary usually sat. She was not at her desk. I opened the door and Mr. Sobinski stood up from his chair, looking very surprised. I turned to see if my girlfriends were still behind me. They were so quiet I thought they didn’t have the guts to go in with me, but they were there. Mr. Sobinski said, “What are you girls doing here? Why aren’t you in class?” This gave me the opening I needed and I launched into a breathless explanation. Mr. Sobinski rubbed his chin. The bright overhead light made his bald head shinier than usual. “I see. I see.” He looked as if I had given him a difficult quiz. He looked more like a lost boy than the severe man we usually saw conferring with parents or teachers. “I have an idea,” he said in a moment, looking not the least bit angry. Victorious, I said, “Thank you.” I led my small band of protesters to the upstairs hallway. From that day on our classmates looked at us enviously as we left to play in the school corridors while they prayed. Each day we pushed the limits. We roamed the halls peeking into unoccupied labs and peered into the nurse’s station. We explored the geography classroom and spun the big globe. We slid down the polished banister. We were free. My euphoria lasted only a few weeks. One day I realized that I didn’t feel as comfortable in my once beloved classroom and that my ocean of love for my teacher had petered out to a small, muddy puddle. 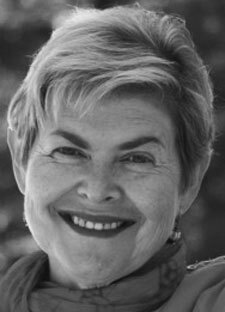 Daughter of Holocaust survivors, Annette Libeskind Berkovits, born in Kyrgyzstan, received her primary education in Poland. She completed her education in the United States where she received degrees in biology and educational administration and supervision. Silk Road Review: a Literary Crossroads has published her work in the past. In September 2014, her memoir, In the Unlikeliest of Places: how Nachman Libeskind survived the Nazis, the Gulags and Soviet Communism, will be published by Wilfrid Laurier University Press (Canada). View More: Next piece "Lilly Rivlin: Filmmaker, Story Teller, Activist", Home, Archive. Well done! Both in the reality and in the memoir. Unfortunately, it resonates with me as a 4th grader at the same time in the USA–but fortunately, in a milder version and with far less dire events to follow. Looking forward to reading more of your stuff. Thanks for your riveting story. The closest I can come to it is being sent to the hallway during story time because I’d not paid attention. I realize my experience is so trivial compared to yours. I’m happy you shared it. Vivid and engaging. I look forward to reading the memoir. A lovely piece about a brave little girl! To take this action in any grade is very bold; to do so in fourth grade, as Libeskind Berkovits did, is truly inspiring!